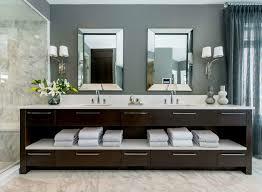 While decorating the home, bathroom is also important space to decor. 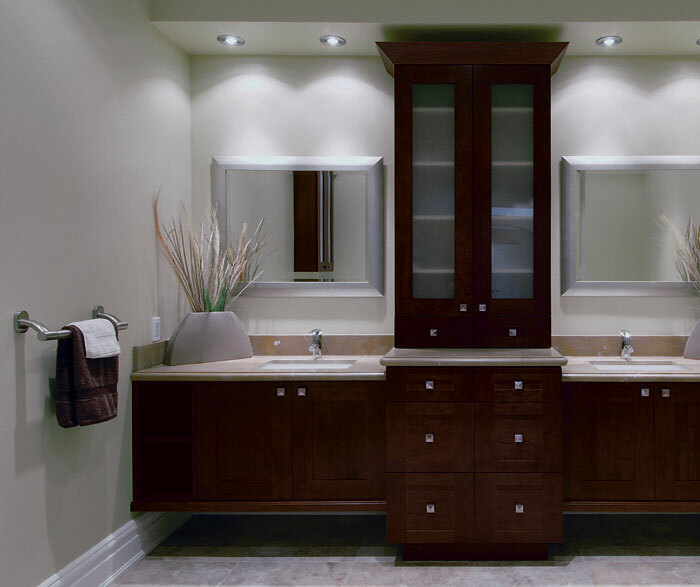 Everyone wants their bathroom to look elegant and great. If you are tired from your bathroom 's look and you want to alter its look, we have gathered some bathroom decor ideas for you which are easy to implement and also inexpensive. Whether your bathroom is small or large one you can follow these steps to make its look chic. The most important upgrade in your bathroom done at renovating time, you can design your bathroom such that everything looks perfect in their own positions. So here is the list of some ideas to add stylish look to bathroom. There are variety of affordable lighting fixtures in the market. You can replace your old lighting with these new elegant lighting effect. Use trending lighting effects for this you can use hanging pendants and light bars. Use such light which provides glowing cool effect. you can use this light along with mirror or cabinet and also along the wall. There is no need to stare at blank walls when you are in bathroom. You can add some color, some art to your bathroom so that it looks pleasant. you can add some canvas prints which are water resistance and inexpensive. If you want to make some gallery art then you can perform this on the walls of your bathroom. If your bathroom looks boring because of tiles and you don't need to worry or spend extra to renovate it. You can try adhesive tiles which are removable and looks like tile. these are easy to implement , for this you can simply cut and install it without damaging the surface behind it. A quick and easy idea to alter the look of your bathroom includes changing of hardware like old and damaged taps, drawer pulls, toilet paper holder and towel holders. You can replace these things with new one to refresh your bathroom. While renovating the bathroom there is also need to replace the existing bathroom towels with new one. for this choose your bathroom towels properly with specific color which will match with your bathroom. If you are decorating your child 's bathroom then add some colorful towels this will enhance the look of bathroom. Now it is time to add some extra personality look to your bathroom . For this you can add stylish water resistant curtains in your bathroom. You can choose bamboo curtains too. Use patterned and printed shower curtains that contains some of the color which will add pop to your bathroom. Choose your curtains properly so that they can match with your bathroom. If you are a bathroom singer and you prefer to listening music while you are in bathroom . Then you can also add sound system in your bathroom. There are also some showers with inbuilt speakers in it , and you can also add external speakers to your bathroom. Mount these speakers along the wall and always keep in mind that there should be no mess of wires in the bathroom. So by following all these steps you can decorate your bathroom which is easy and inexpensive. So while decorating your home never forget about the bathroom, decor it nicely and you will never get bored while you are in bathroom.